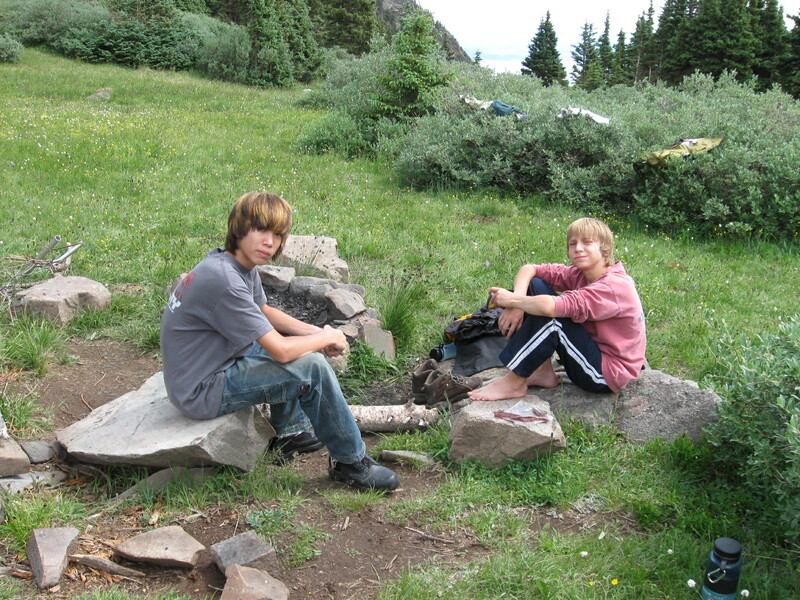 We backpacked into Comanche Lake, just south of Venable Lakes, on July 25th, 2008. It was raining at the trailhead and proved to be the rainiest trip we’ve ever been on. 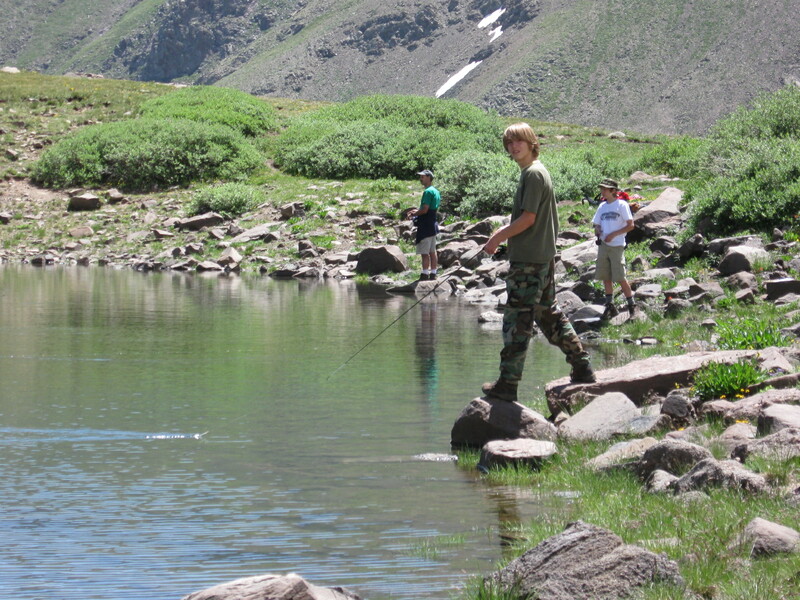 But we had a good time fishing and exploring. 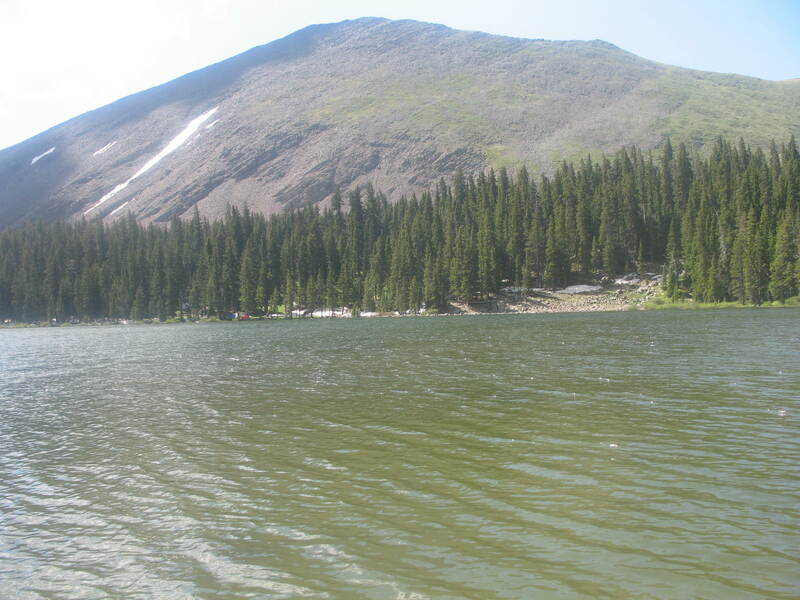 We backpacked into Venable Lakes on the July 18th weekend. It was a great trip with perfect weather and excellent fishing. Dave’s oldest boy Matt was out to Colorado with two friends, Brandon and Josh, visiting an Army friend stationed at Fort Carson which is on the south end of Colorado Springs. They stopped by on Friday and visited for a few hours. 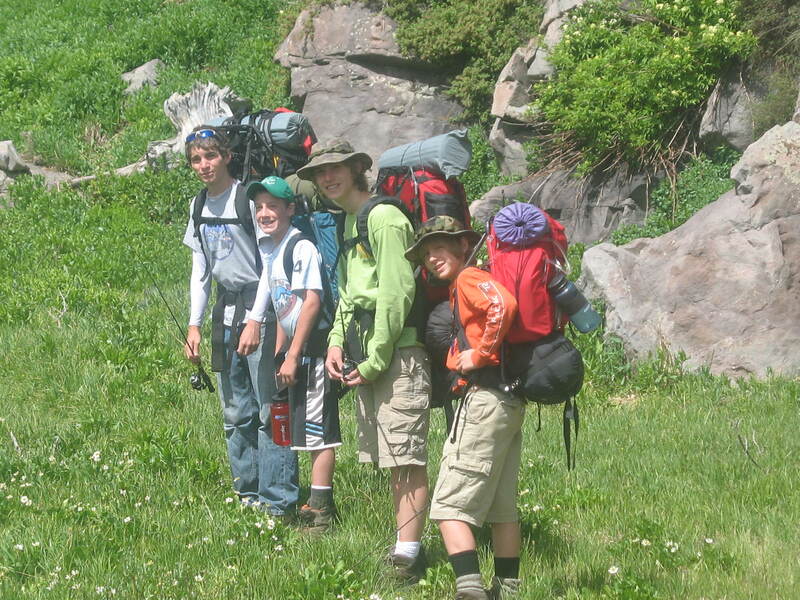 We were going backpacking that afternoon, so I told them to let us know in advance next time and we could arrange to take them along. 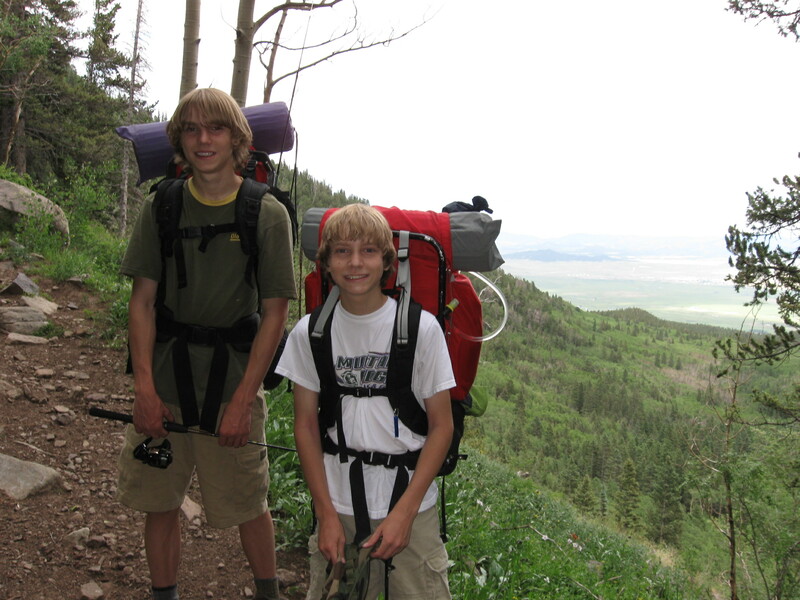 We backpacked 6 miles to Brush Creeks Lakes this last weekend (July 4th, 2008). 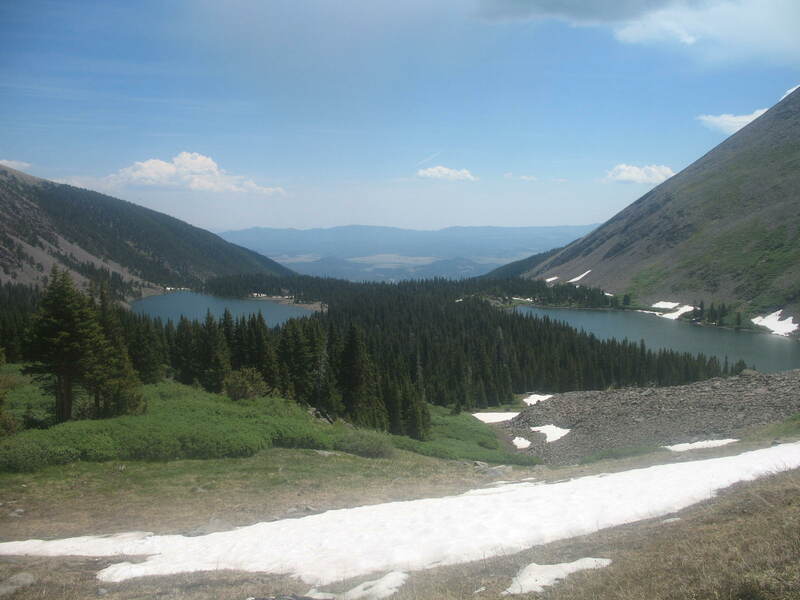 It was a long hike which began around 8,500 feet and ended at 11,404 feet at the lake. We caught a bunch of fish, hiked/climbed hand-over-hand up the ridge to the west, which included Thirsty Peak, slid down some snow fields, camped, and generally had a good time. 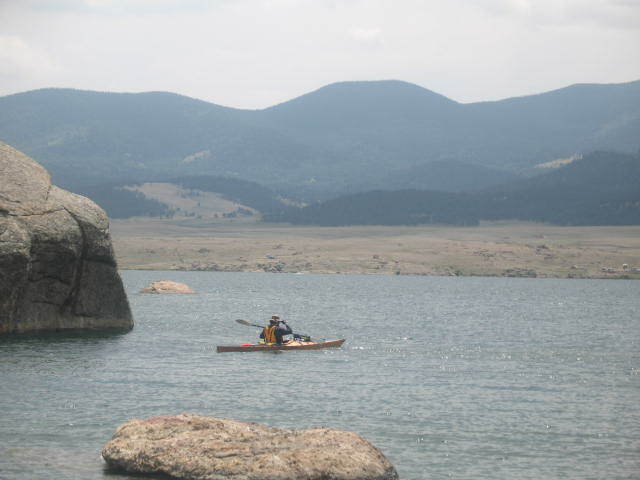 The lake is pretty large as compared to others in the Sange de Cristo range. 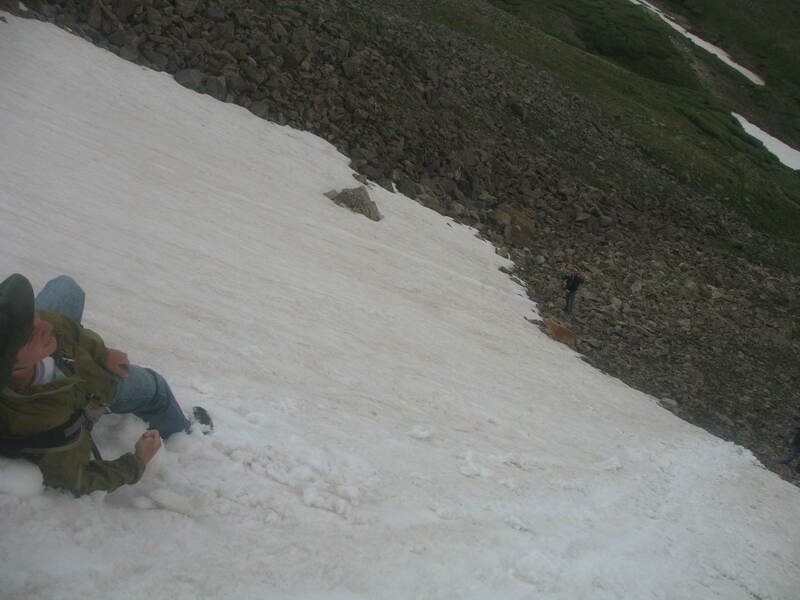 The snow fields were fun . . .
Paul’s friend Robert joined us on this trip. 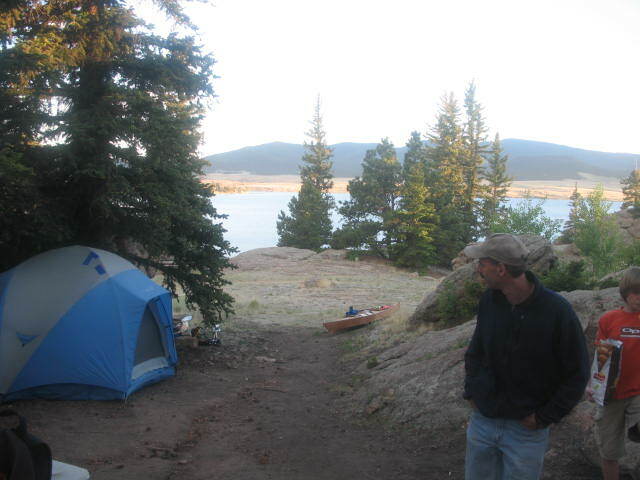 We spent the June 21st weekend and the June 28th weekend at the Eleven-Mile Reservoir Backcountry camping area. We fished but couldn’t get anything, and did lots of paddling. A little kayaking was necessary as well . . . 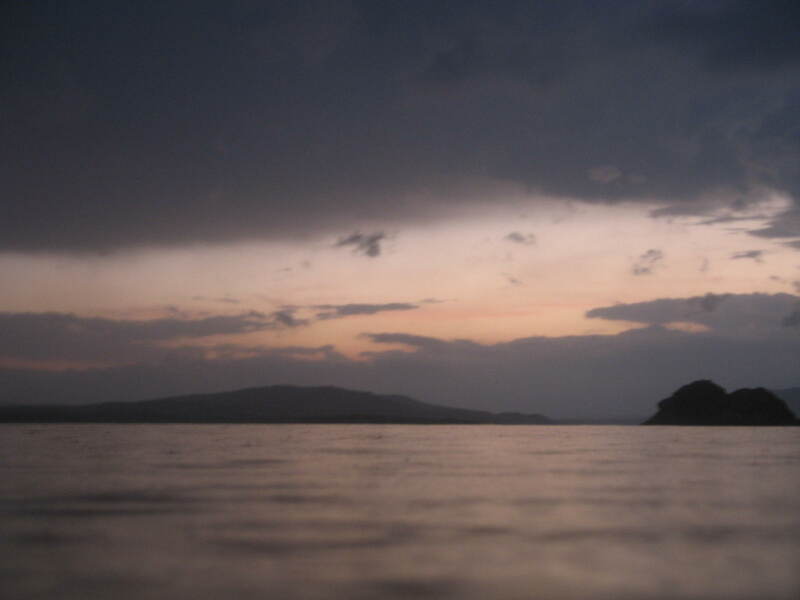 The weather got ugly at times . . .